How are we, as a nation, supposed to save Social Security when so many of us remain unclear about how it works? Social Security turns 80 this year. The program, which was designed to sustain older Americans in retirement, is going through a few later-in-life issues itself. Social Security has been debated and discussed for years. Now, with millions of Americans nearing retirement, the conversation is heating up and ready to boil over. Does the program need an overhaul? Does it need a few tweaks or is it good as is? These are questions we will hear in every political debate and speech for the next year and beyond. What is lost in these passionate discussions is how little most Americans even know about this retirement benefit. Massachusetts Mutual Life Insurance Company (MassMutual) recently commissioned a study conducted by KRC Research and found that more than 7 in 10 Americans received a failing grade when asked to answer basic true/false questions about Social Security. And out of 1,500 respondents, only one received a perfect score by answering all questions correctly. Results from the 2015 MassMutual Social Security Survey shed light on a fundamental problem we must address. Pessimistic attitudes and dwindling retirement savings have many Americans scared about their financial futures. The lack of knowledge about Social Security only compounds this problem. 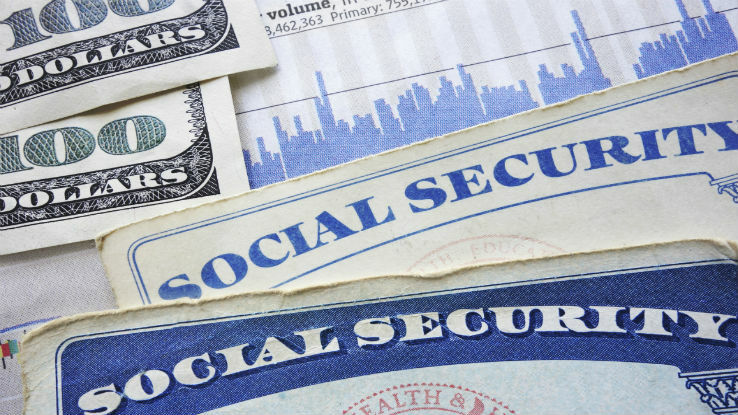 Interestingly, despite having minimal knowledge about the Social Security retirement program, a recent Gallup Poll (April 2015) found 36 percent of American workers are expecting Social Security to be a major source of retirement income — the highest percentage in 15 years. The number of young workers saying Social Security benefits will be a large part of their retirement income has doubled since 2005. Yet, that social safety net that Americans have relied on since the Great Depression is threatened. According to the Social Security Administration, there were 42 workers contributing to Social Security for every one person receiving benefits in 1945. By 2010, there were only three (according to the Social Security Administration). How are we, as a nation, supposed to save Social Security when so many of us remain unclear about how it works? Equally important, how do we manage our individual retirements with so many unanswered questions about many of the key benefits? The financial services industry has an important responsibility to help close the knowledge gap that exists around Social Security. Others can debate, but the industry needs to educate if we are to help Americans truly secure their financial futures. This can’t be done in a silo; we need to address this holistically, and MassMutual is ready to accept the challenge. We can’t approach Social Security filing options as a one-size-fits-all solution. Just as our country becomes increasingly diverse, so do the financial needs of those Americans. The needs of Baby Boomers, who are living longer and managing rapidly rising healthcare costs, look drastically different than those of Millennials, who have longer planning horizons, but often are weighed down by substantial student loan debt. We need to connect with them through different channels and adapt to their changing needs and expectations. A traditional face-to-face meeting with a financial professional may now be heavily complemented by options to use online tools, to research and buy products online or through a worksite. As more than 8,000 Americans turn 65 each day for the next 16 years (according to the Pew Research Center) and we continue to make advances in medicine, people are living longer than ever. The threat of people outliving their income is a very real one. We need to come together as an industry to help Americans make the best decisions they can about their financial futures. Education around Social Security is essential when it comes to our collective future. Failure to address this knowledge gap will lead to much larger issues as more Americans continue to retire each day. Now is not the time to be complacent; turning a blind eye is not an option. There should be no debate about that. Mike Fanning is executive vice president of the U.S. Insurance Group at MassMutual.